When you hear cryptocurrency what strikes is Bitcoin. As for me when I hear Bitcoin all I see is money, something that everyone desires. Well for bitcoin users I don’t feel the dream for being a millionaire or a billionaire is a dream anymore. Time has proven that value creates demands and the demand for bitcoin is in abundance but supply is less which makes the price to go high. Believe me everyone wishes to have purchased bitcoin in it early times. Now this revolution which created history cost’s you a bomb. Do you feel you have missed the chance to earn in cryptocurrency? what if you get a chance to acquire some coins which has the ability to give you the same benefits as what bitcoin is giving you right now. Well let’s not beat around the bush, I am here to tell you about a new innovation derived from a revolution, Realpoints – The Best Of Its Kind. Keeping in mind the concept DR. Alanki Murali Krishna came up with a similar strategy to have a coin which works same as what bitcoin does i.e. to send, receive and store and whose value will increase as time passes by. 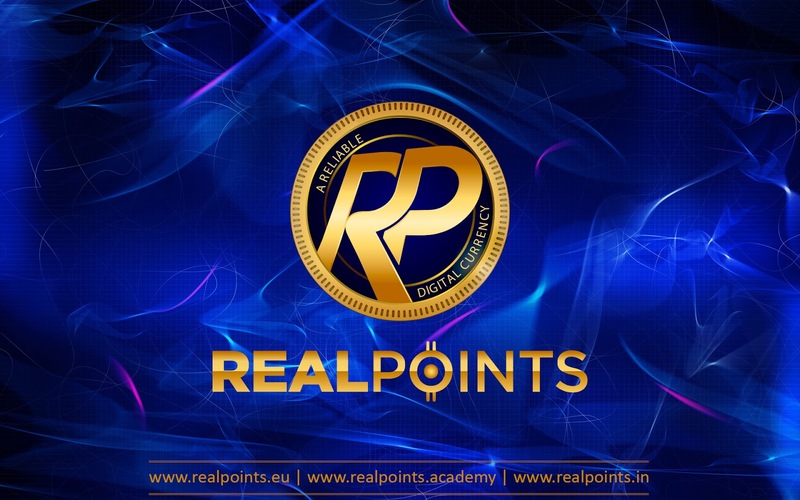 The value of any crypto-coin is increased by its users and by the market, and Realpoints has emerged in the market just three months ago (01/01/2017), not bragging but has acquired the hearts of 14000+ in more than 130+ countries, well that definitely is a good number for a company in such a short span of time. With future rich concept the company calls out it’s coin as Realpointcoint (RPT coin) and can be divide into two segments Investment & Income just like two sides of the same coin however you toss it favours you. The company Realpoints calls itself an academy because it teaches you various aspects of cryptocurrency and also provides you services in terms of mining for you. The company has various packages to offer you and each package has some exciting features which helps you to double and triple your initial investment as to maximize your profit. The monetary value of the coin increases as the number of users start using these coins for trading. And with Realpoints one gets this opportunity to trade in the open market. Yes, unlike other cryptocurrencies which promises you to enter in the open market perhaps when you have your grandchildren, Realpoints stands out different and says ‘we live today and let’s trade today.’ With having its presence in the external market and coin market cap it delivers what it has promised to its people. Most importantly it claims no ownership of your coins which means you are free to trade your coins as you wish to. so here’s a chance for you to exchange your own cryptocurrency with other cryptocurrencies or fiat currency for that matter. Every Child grows, like-wise every good investment also grows as time passes by. No promises made of surpassing the price of bitcoin, but yes RPT coin holds its own projection and believes in it strongly. These projects are based on the coins in the crypto world’s performance. Never the less you will never be disappointed with your returns instead hold a bright smile. You feel I have said enough? Not yet, there’s lot more to it. A gateway of opportunities. When the word talks about Artificial Intelligence, let’s pay a heed to the power of cryptocurrency and change our lives. Is Cryptocurrency just about Bitcoin?